The Fairytale Festival will take place on Sunday 22 July 2018 at Woodstock Gardens in Inistioge, Co. Kilkenny. The Fairytale Festival is an annual, screen-free day out for all the family. 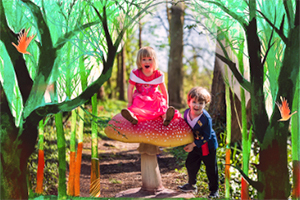 Enjoy storytelling, fairy trails, sing-a-longs, arts and crafts, archery, bouncy castles, food stalls and so much more. Woodstock Gardens Inistioge is the enchanting new venue for Beat’s third annual festival. Last year over 3,000 people attended the event and this year, the organising team has been working hard to make the festival even more magical.